Jeff Greene converted his vehicle to run on CNG. He says his company is working on building another half-dozen CNG fueling stations around Florida. When Jeff Greene pulls his car into the fuel station, he doesn’t suffer the hit to the wallet that most Florida drivers experience. Greene, a Fort Lauderdale businessman who puts hundreds of miles a week on his 2008 Ford Escape, has converted it to run on both gasoline and compressed natural gas. 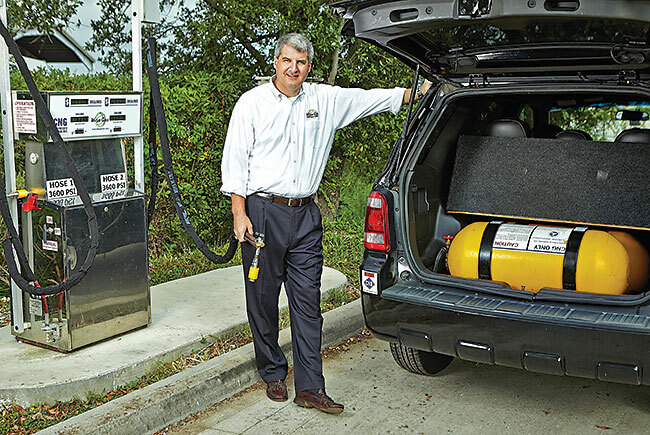 Greene, director of business development at Wise Gas, expects the market for CNG as a fuel for consumers’ vehicles to grow substantially over the next decade. CNG is much cheaper and cleaner than gasoline. The average national price of CNG is $2.11 a gallon. Regular gasoline is about $3.65. 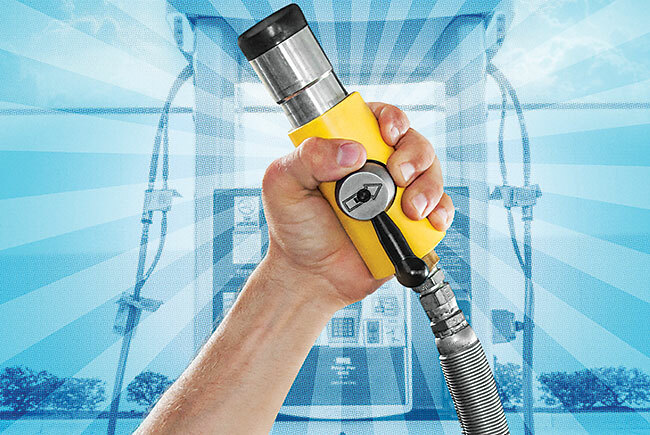 The main obstacles to more widespread use of CNG in passenger vehicles are the lack of CNG fueling stations and the cost of retrofitting an existing gasoline-powered car or buying a CNG-fueled vehicle — up to $8,000 more. Honda and Chrysler are the only companies that make CNG-ready cars and pickup trucks in their own factories. Ford, GM and Ram have announced 2013 pickup truck models that run on gasoline and natural gas. Adding a CNG tank to a gasoline- or diesel-powered vehicle can cost from $3,000 for a small car to $40,000 for a large truck. Nationwide, there are 120,000 natural gas vehicles, according to the industry group NGV Global. In Florida, estimates put the number at more than 100 passenger cars using natural gas. Florida hasn’t offered tax credits to CNG car buyers as some other states have, including California, West Virginia, Oklahoma and Colorado. In May, however, the state Legislature approved a limited incentive to encourage fleet conversion to natural gas. The new law exempts natural gas fuel from fuel taxes for five years and creates a $6-million a year rebate program for companies that want to buy or lease natural gas vehicles.